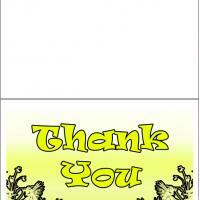 These printable thank you cards use lots of yellow to give it a bright cheery look. 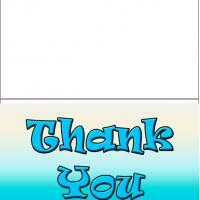 Thank you is written in a quirky bold yellow font over a yellow and white gradient background. The bottom corners have flowers that nicely frame the thank you message. 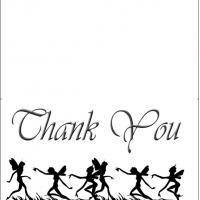 These free printable cards are generic enough that you can use them on any occasion to show someone your appreciation. Print it off and add a personal message if you desire.